Thanks to Free Mockup Zone for this awesome Mockup! Today we designed very extra-ordinary and professional Free Stylish A4 Flyer Mockup to showcase your flyer design. 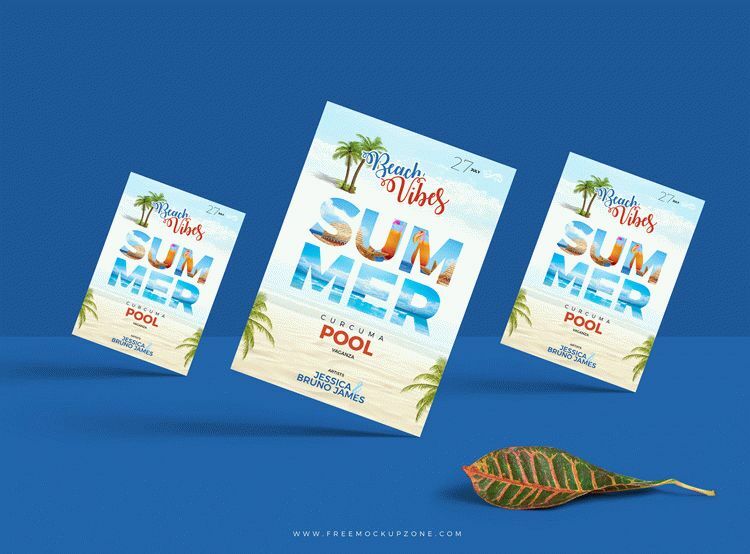 This mockup will give your flyer designs presentation a unique look. Get your desire stylish presentation by placing your design in smart-object layer. So feel free to download and must watch our daily free mockups. Professional Mockup in PSD it is a really great instrument for graphic designers and business promoters. A lot of qualitative Mockups are there on our website MockupFree. You are free to choose any Premium and Free PSD mockups you like for being interesting with your presentations and create the necessary realistic design. All the smart objects are well-done and ready for customization. There aren`t any problems with making any editions. All that is required - it is some basic knowledge of Photoshop. In the results you will have the necessary design exactly for your goal. Download Free mockups in PSD on our website for creating awesome design and showcasing your ideas. Choose any free PSD mockups you like for your projects and inspiration! Big collection of Free mockups can be downloaded on our website for creating awesome design. We are creating for you lots of mockups as for business as for entertainment. You will surely find the best one. P.S. Our team consists of professional designers. They create PSD mockups in Photoshop for you to be successful with all your ideas. And, as you can see, they really love their work.